Ask me your Buyer's Realtor, looking out for your best interests, about the free home buyer grants that are still available in the Phoenix Arizona metro area of Maricopa County. There are also no and low down payment possibilities to check out. I am at your service....Just Ask! Does buying a home with no down payment seem like a dream that is to good to be true? Well it can and does happen with the free home buyer grants that are still available in the Phoenix Arizona metro area of Maricopa County. There are also Low or No (Low No) downpayment loans that are available to home buyers. Check these real opportunties out for a free grant for down payment and/or Buyer closing cost assistance or for a possible Zero Dollar down payment ($0 Down). See your lender for details or ask me as your personal Realtor to get started. There are still a number of free grant and zero dollar down programs available in the Maricopa County or Phoenix metro area as part of economic stimulus efforts. Ask me as your Buyer's Realtor for more information. Also, ask me about structuring your purchase contract asking for Seller to provide assistance on the Buyer closing costs. I can help you. 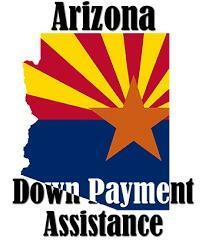 Pathway to Purchase free grant and home buyer assistance program is back in 17 Arizona cities! The Pathway to Purchase free grant and home buyer assistance program is back in 17 Arizona cities! Up to $20,000 in free grant money to home buyers in those cities like Buckeye, Avondale, Maricopa and more. See the link for program details and ask your Arizona lender. For more information on Arizona Mortgage Loans check here. It is important to select a lender that can work with these free grant and low down payment programs. I can help you as a Buyer to structure the purchase contract in a way that can ask the Seller to contribute towards your Buyer closing costs. If you are looking to move to Phoenix including Scottsdale or to buy a home in Arizona or sell a home in Arizona, contact Jeffrey Masich, Associate Broker and Realtor. I would be pleased to help you and look out for your best interests while finding you the right home at the right price!